Join Trap X Art for their debut fashion show! This tribute to nostalgia will feature 3 floors of fashion, a vendors, music and an after party. 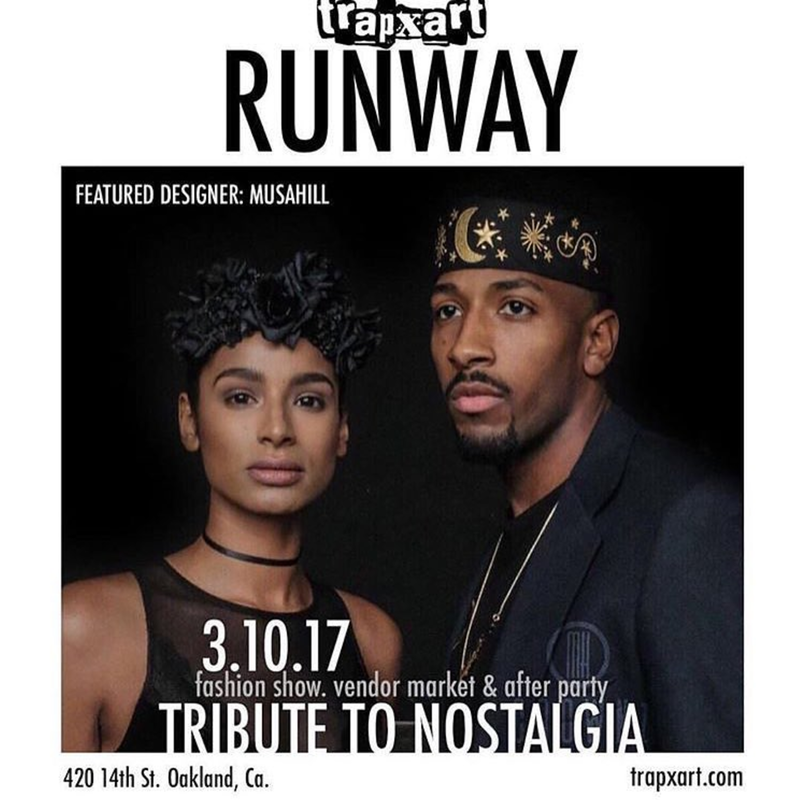 Join TrapXArt on Friday March 10th, for their debut fashion show! This tribute to nostalgia will feature 3 floors of fashion, a vendors, music and an after party! Fashion show will feature designs from local designers such as: Slim B Designs, The Mackitty, Le Cesear, Run the World Clothing, Sniqkerhead, Musahill, Waikiikii & IMV Couture. Click here to buy your ticket, and make sure to use the code NOOK for $5 off your ticket. See you all Friday.